The Chester Racecourse Wedding Show takes place at Chester Racecourse, Sunday 7th May 2017. Free parking at the racecourse – using postcode CH1 2LY. Fabulous catwalk shows at 12.30pm and 2.30pm. Meet the region’s leading wedding professionals and find everything you need for your big day – all under one roof! Stunning room settings, rolling green fields and the roar of the River Dee… Chester Racecourse combines the beauty of the country with the best of this magnificent walled city. Chester Racecourse boasts a range of rooms large and small, from historic stands to contemporary character-filled suites and floor to ceiling views. Whether you’re looking for an intimate service or a grand celebration, they have the perfect space for your special day. 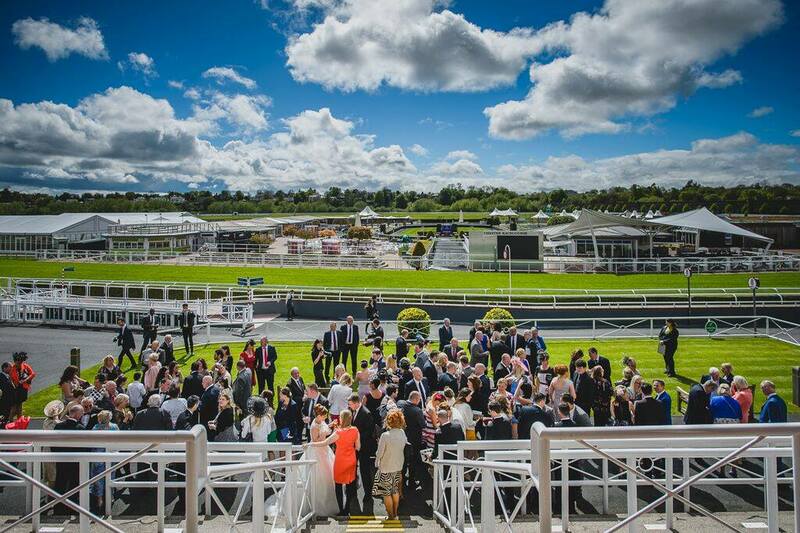 A unique venue, vast green spaces and an award-winning events team… If you’re looking for a wedding venue in the heart of Chester’s beautiful walled city, Chester Racecourse gives you the flexibility and space to create your perfect wedding ceremony amid our sweeping views, manicured lawns and lush grounds. Nestled in the heart of Cheshire, Chester Racecourse is licensed for weddings and civil partnerships to give you an unforgettable ceremony. You get the best of the historic city of Chester, in a beautiful Cheshire setting; the convenience of the city alongside the green of the countryside. Chester Racecourse boasts a rich heritage with a mixture of traditional and contemporary wedding spaces, flanked by the River Dee. With a choice of 6 licensed ceremony rooms, you’re really spoilt for choice from small and intimate to large and lavish. Their expert team has a variety of wedding packages, champagne and canapés, buffets, sumptuous wedding breakfasts and elegant receptions, to help you create your own unique day. Their award-winning caterers, Horseradish specialise in elegant seasonal fare using the best local produce – whether you choose a classic formal wedding breakfast or a contemporary reception buffet, we’ll help you create a menu that reflects you and your partner.